Good news for fans wanting more Kaiju & Jaeger action! 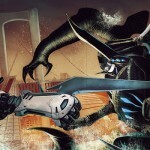 A new comic book miniseries based on the 2013 fan-favorite film Pacific Rim has been announced! Titled Tales From The Drift– this new series will be spread over four issues and explore new adventures in the Pacific Rim Universe. The story was developed by Pacific Rim’s screenwriter, Travis Beacham and will be adapted to comic book format by writer Joshua Fialkov and artist Marcos Marz. Tales From The Drift will arrive in stores starting in November 2015! The original big bad kaiju has just returned to theaters after a 10 year hiatus. Legendary’s Godzilla is on screens world wide and he’s absolutely destroying them. If you haven’t seen the film yet, we HIGHLY recommend that you do. And to celebrate the film’s release TokuNation.com is proud to present this companion piece to it. 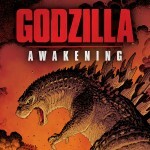 A full summary & review of the Godzilla Awakening Graphic Novel prequel! Godzilla Awakening follows the exploits of the elder Dr. Serizawa (Ichiro’s father) from 1945-1954 as a member of the elite Monarch Unit. A group tasked with finding and exterminating the MUTO creatures. Though what the good doctor would theorize, and this unit would later discover, would be something far greater. A living legend, a monstrous myth, the king of all monsters, Godzilla! This book set out to expand the historical universe of the 2014 Godzilla film and it has succeeded wonderfully. If you want more insight into just what drives Ken Watanabe’s character, Dr. Ichiro Serazawa in the film, then this story about his father, is a must read. By clicking “Discuss on the TokuNation Forums” you’ll be taken directly to a lengthy and spoiler heavy review and summary of Godzilla Awakening. Again, this book contains MASSIVE spoilers for the film as does our review. Read on at your own risk. In a mere 2 days, the King Of Monsters will make his triumphant return to movie screens world wide after being absent for nearly 10 years. And while we may not have a new trailer or featurette to share right now, why not have a look at 3 choice videos to get you pumped for Legendary’s Godzilla? Taking an unfortunate but hilarious trip down memory lane, how about Screen Junkies Honest Trailers treatment for the 1998 Rolland Emerich Godzilla movie? It certainly puts the already panned film into perspective. Then why not check out CineFix’s very own Shot For Shot home made trailer for Godzilla 2014? A comparison of this and the original can be found on their page showing just how true this “sweeded” version is to the actual trailer. And of course we can’t forget the deliciously awesome Godzilla 2014 Snickers commercial! One of the best pieces of marketing for this film has undoubtedly been this hilarious commercial which shows the big G having fun playing ping-pong, water skiing, chatting up the ladies, and having a good time. And with that, prepare for Godzilla to destroy theaters on May 16th! We are just 1 week away from the release of the highly anticipated Godzilla 2014 film. So of course TokuNation would like to take another look at the merchandise released so far to celebrate this movie. And this piece of merch is indeed special! You may recall that on December 28th 2013 we reported on the existence of this Light & Sound Godzilla kit. You may also have noticed that at the request of Warner Bros/Legendary on the same day, the leaked images of this figure were removed from our site. This hilarious incident has forever re-branded this figure as Cease & Desist Godzilla around the staff forums. It’s also known as the incident where I, first got us “lawyered”. Good times! Click “Discuss on the TokuNation forums” at the bottom of this post to check out the full gallery. This powerful line sets the tone for this new international/Asian trailer for Legendary’s 2014 Godzilla. If you thought you’d had a good look of the titular beast before, then be prepared to be spoiled with even more shots of this monster! As well as a wealth of new footage of the Muto creature! Godzilla destroys theaters May 16th. 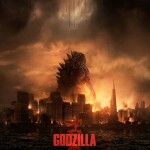 It’s time for another (new look at the Godzilla 2014 film from Legendary Pictures! Much of the footage and dialogue is what we’ve seen and heard previously but there are some new scenes sprinkled in as well. Watch the video bellow to see! And remember, Godzilla destroys theaters on May 16th! Thanks to user Toa Maximus for the tip! Godzilla 2014 Test Footage Reactions From Across The Web! During a special screening today in London, director Gareth Edwards presented roughly 20 minutes of footage from the upcoming “Godzilla” film. The few critics lucky enough to see this footage have given near-universal appraisal, suggesting a very promising return for the King of the Monsters! *The first clip involves Bryan Cranston’s character in a nuclear power plant, then the second cuts to 15 years later with Cranston trying to deal with the fallout of that incident. Both scenes highlight Cranstons’ impressive talents as a dramatic performer. *The final two scenes involve military personnel reacting to Godzilla’s arrival, with special emphasis on the HALO Jump sequence featured in both major trailers. Finally, the major critics that had a chance to view this test footage have all been “sworn to secrecy” regarding at least one plot point in this film. Could that mean another monster appearance? A secret twist on the origins of Godzilla? We’ll have to wait until May 16 to find out! 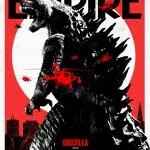 Fans of Godzilla were blown away by the magnificent new trailer that went online this week, and now the film’s director Gareth Edwards has ]sat down with Empire Magazine to offer several special insights regarding the trailer and drops some key hints about the film! Edwards describes the story as “Man VS Nature” centered from the perspective of a family divided by natural disasters. The film supposedly contains a number of very emotional moments within the expected action sequences-“If you don’t get close to tearing up in this film, then I’ve failed” says Edwards. The full breakdown can be viewed HERE via Empire Online. There are several other hints and suggestions to the overall plot of the movie, which we will not reveal here out of respect for those who want to go in unaware. 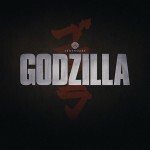 Godzilla premieres in theaters May 16!